This Lens Cover for the Canon 600mm f/4 IS III Lens in digital camo from LensCoat covers your lens with a 100% closed-cell neoprene coat, offering protection from weather, bumps, jars, and nicks. This protective coat allows your lens to blend in with your surroundings, making it useful for nature and outdoor photographers since it can help camouflage your lens from wildlife. It is also an effective accessory for sports shooters and photojournalists who are regularly subjected to less than optimal shooting and climate conditions. The Digital Camo is an advanced, computer-generated camouflage pattern. 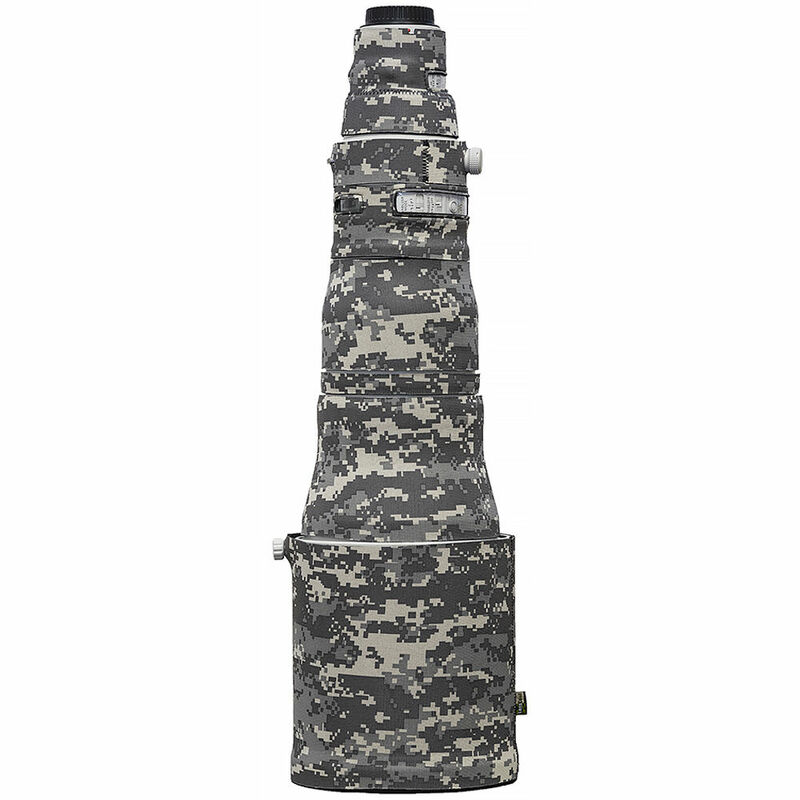 It is modeled after the U.S. Army's standard-issue ACU pattern to maximize visual break up. The pattern mimics naturally occurring dappled textures and rough boundaries. It features a clear plastic window located in a position that allows you to maintain access to all lens functions, including the distance scale. A handy alignment hole makes it easy to mount the covered lens to your DSLR body. The LensCoat also provides a thermal barrier, protecting your hands from the cold lens surface in lower temperatures. It is easy to install and remove, leaving no residue on the lens. The LensCoat is waterproof, providing protection in harsh conditions. The increased protection offered by this cover can help preserve the resale value of your lens. Box Dimensions (LxWxH) 12.3 x 9.25 x 1.95"